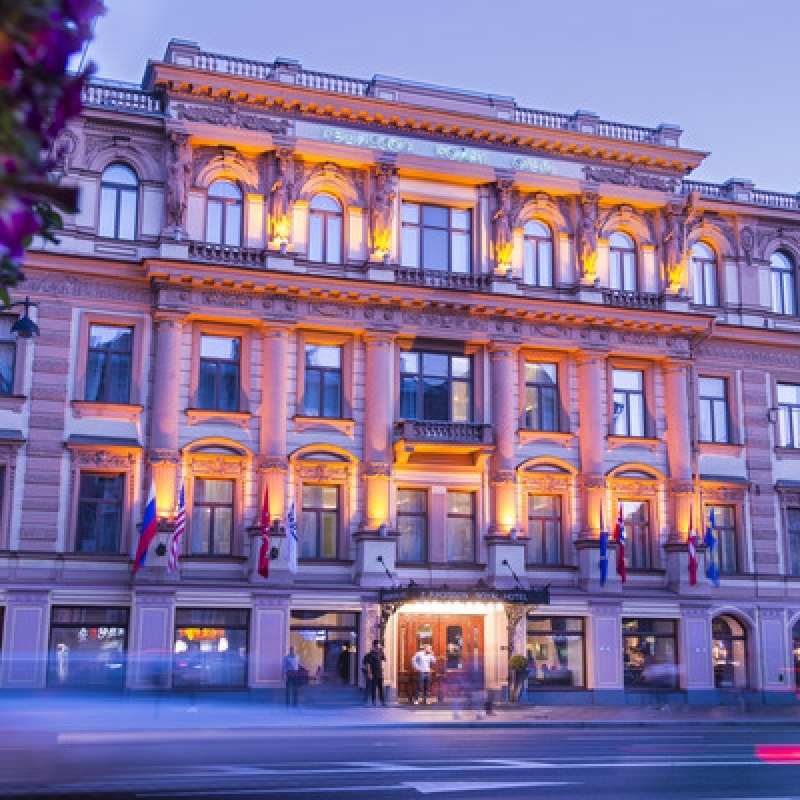 Dating back to the 18th century, the building housing the Radisson Royal Hotel in St.Petersburg has a colourful history. The interior of the building was completely reconstructed in 2001, and the original facade has been restored to its former glory, retaining original features, many of which are almost 300 years old. 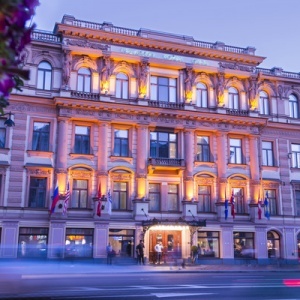 The hotel is situated in the heart of the city, on Nevsky avenue, close to major city attractions, including the Hermitage, the Russian Museum, and the Mariinsky Theatre. Pulkovo-2 International Airport is within 40 minutes' drive from the hotel. The Radisson Royal Hotel offers accommodation in 164 rooms fully-equipped with modern amenities, including Wi-Fi Internet access. 18 Suites and 30 Business Class rooms are decorated and furnished in classic style. The hotel offers 24-hour room-service, dry-cleaning and laundry services. Specially appointed rooms for disabled guests are available. The Barbazan restaurant is named after a famous merchant who once owned the historical building of the hotel. The restaurant offers versatile international menu and an extensive wine list. The Cannelle bar is located on the ground floor of the hotel. It has large panoramic windows facing Nevsky and Vladimirsky avenues. The bar offers a variety of cocktails and refreshments, snacks, main courses and desserts. The Radisson Royal has four dedicated boardrooms and three function rooms offering some of the finest meeting facilities in St.Petersburg. All conference rooms are located on the ground floor, close to the business centre and reception. The professional conference coordinator will help in planning and arrangement of any event. Up-to-date equipment, including LCD projector and telephone conference facility, is available. Seven meeting rooms spread over 217 sq.m. The largest room is 100 sq.m in size. The hotel's fitness centre is equipped with training machines, a sauna, Jacuzzi, a solarium, and a massage room. The business centre offers the following facilities: a copying machine, a fax machine, a scanner, Internet access, PC rent, and translational service. The concierge of the hotel may help to book tickets, arrange tours, excursions, and transportation.